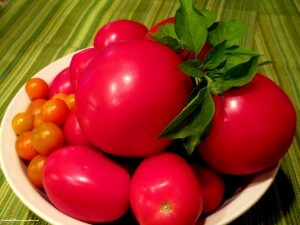 Home » Bringing the garden inside » Glut of Tomatoes? Make Gazpacho with Rosemary & Leek Focaccia! Glut of Tomatoes? 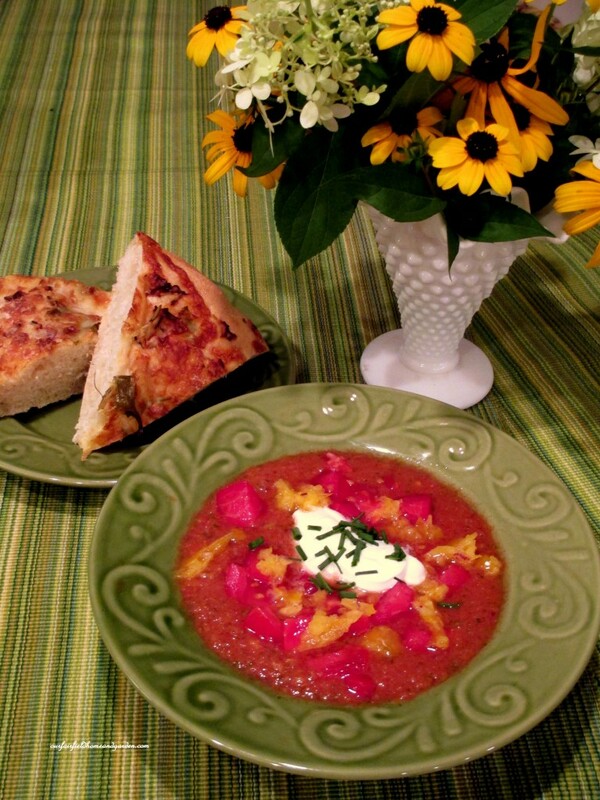 Make Gazpacho with Rosemary & Leek Focaccia! 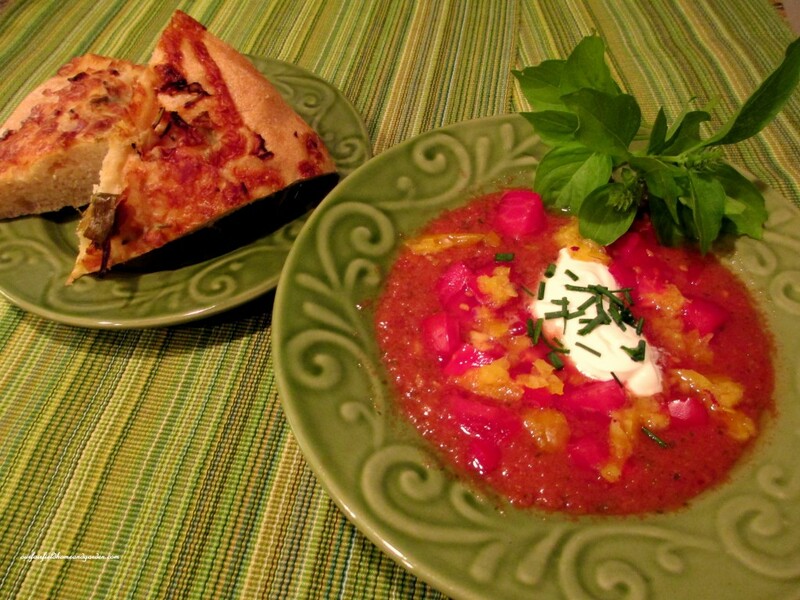 Transform tons of fresh tomatoes into a delicious (and healthy) gazpacho! Have you noticed how you wait and wait for the tomatoes to ripen and, then suddenly, you have buckets of them all at once? What do you do with a glut of tomatoes? Make Gazpacho! 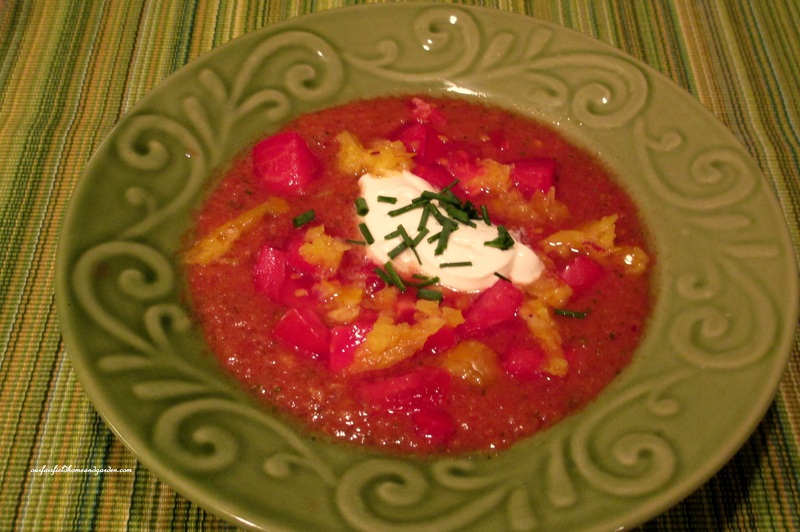 Gazpacho is a cold vegetable soup that originated in the Spanish culture. I am particularly fond of the Gazpacho recipe in Molly Katzen’s vegetarian cookbook, Moosewood Cookbook. This recipe not only uses up tomatoes, it also uses other fresh vegetables and herbs from your garden and tastes very fresh. And it is low calorie and an easy way to eat all those vegetable servings we are supposed to have. I like to make enough for dinner and some extra for lunch the next day or two. It is especially tasty with a good bread. 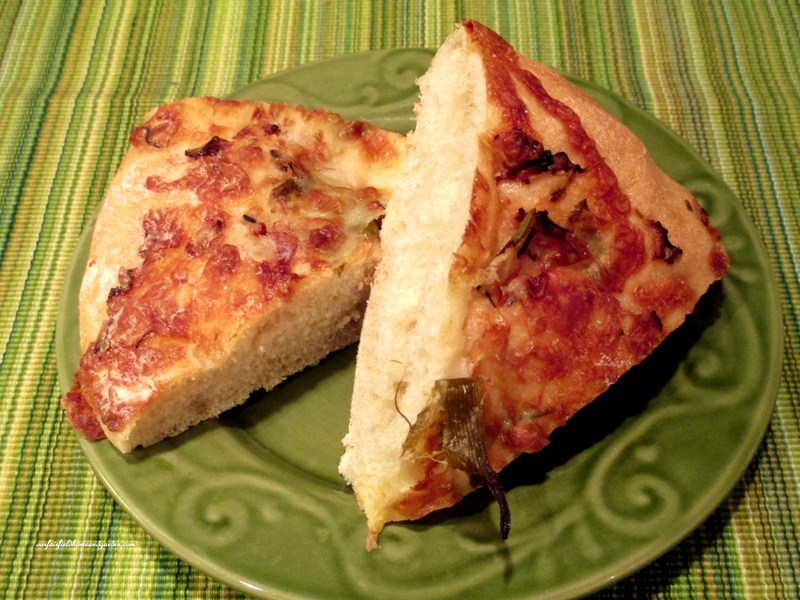 Tonight we had Rosemary & Leek Focaccia and they were perfect partners. Put everything in a blender or food processor and puree, chill, then add some chunky garnish and serve. I keep a little of the minced bell pepper aside, dice another tomato or two and garnish with a dollop of sour cream sprinkled with chives. Put it all together and you have a delightful, healthy meal straight from your garden!